Oxford is an amazing city and I have spent many a happy afternoon wandering around it’s beautiful buildings. My favourite of which contain lots of shoes and bags, oh hang on, I think I may have stumbled into Whistles! OK so it’s not all beautiful architecture it also has a fabulous shopping centre, loads of bars and gorgeous restaurants – what more could you want for your hen party. 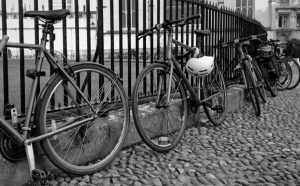 Here are 3 ideas for a lovely hen party afternoon in Oxford. 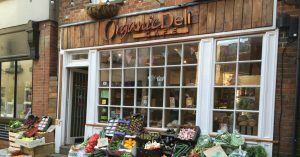 My absolute favourite place to eat in Oxford is the The Organic Deli. It is a super-healthy and tasty eatery (lets face it ladies we’re all watching our weight before the big day). I love it because along with the usual delightful afternoon tea menus it stands ready to accommodate particular dietary needs; gluten-free, vegetarian and vegan. At Glam Hatters we constantly get asked for gluten free/vegan options and these guys know their stuff where that’s concerned. I myself am testing out a gluten free regime, although I did come off it for 10 minutes yesterday to have a flap jack which my studio mate kindly bought for me. I didn’t want to be impolite (can’t stand bad manners). 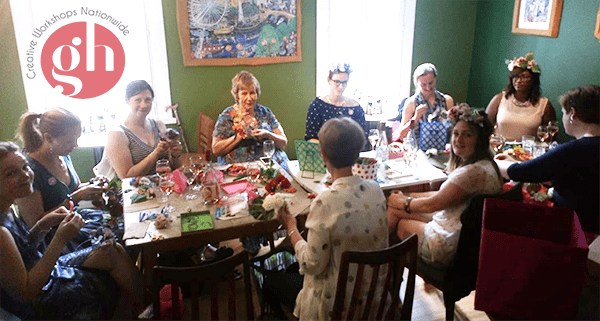 The Organic Deli is also the perfect venue for a flower crown or fascinator making hen party workshop. We use their upstairs room (28 steps up!!) which comfortably sits 18 hens. They provide a glorious afternoon tea using all organic and free range produce. You can even bring your own bubbly which they will keep chilled in their fridges. Book the upstairs room for the afternoon and The Glam Hatter Girls will arrive with hat boxes of gorgeous materials ready to teach you a gorgeous craft activity. 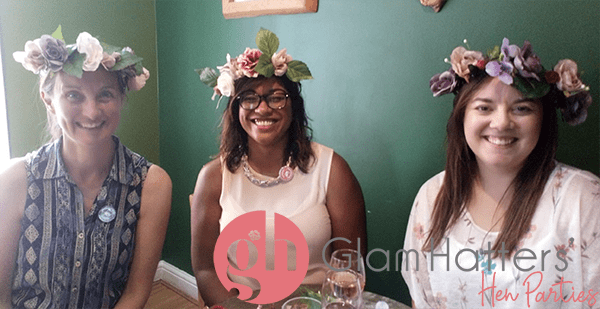 Choose from our Fascinator or Flower Crown Workshops. Workshops take between 1.5 and 2.5 hours, depending on which you choose. Workshop prices start from £32pp. Add £12.75pp for afternoon tea at The Organic Deli to our workshop prices and you can make a fascinator whilst enjoying gorgeous food all for under £50!!! Once you’ve satisfied your appetite and your creative drive, why not get a bit physical?! 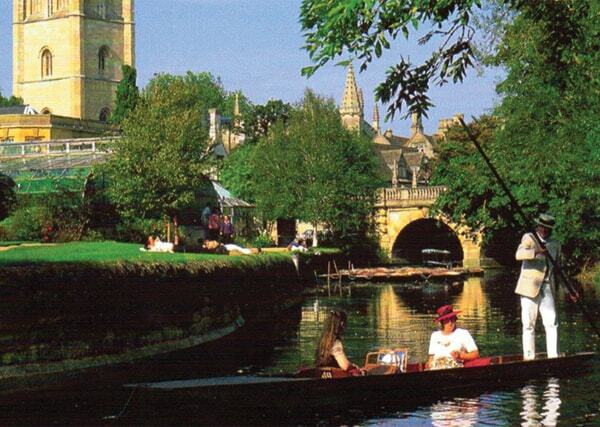 Punting, pedalos and row boats are all a feature in Oxford. Situated underneath Magdalen College Tower, at the lower end of Oxford’s world famous high street you will find Magdalen Bridge Boathouse. 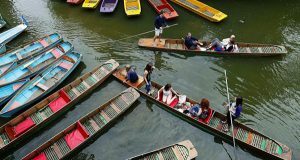 Here you can hire their traditionally crafted punts, rowing boats and pedalos or spoil yourself by hiring a Chauffeured boat. Warning! Important Advice About Hen Party Punting! 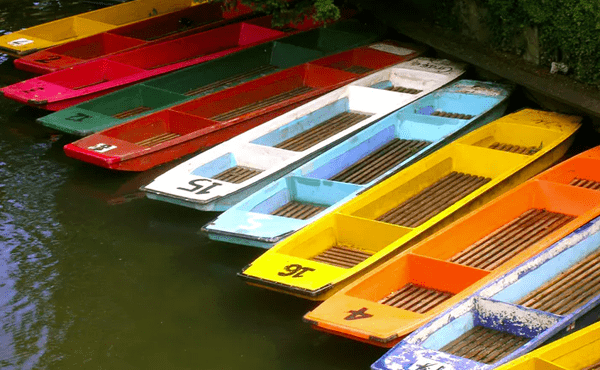 Take a view on this – is your hen party the kind of hen party who can quaff champagne and stay upright in a punt? If the answer is no, my strong advice would be to HIRE A CHAUFFEUR LADIES!!! If your friends are slightly more sensible than mine then give it a go yourself. I’ve tried it, it was a lot of fun – although I did spend the first 15 minutes going around in a circle and almost dropped my phone over the side whilst trying to capture the not so peaceful cackling of my best friends! You can hire a boat at the Magdalen Bridge Boathouse for just an hour. The price includes a bottle of champagne as you are chauffeured gently along the river by one of their highly experienced chauffeurs. The chauffeurs are very sweet and will look after you and your party impeccably, returning you to the boathouse. Cost: £12.50 per half hour per person or £25 per hour per person (cost includes chauffeur, punt and champagne). 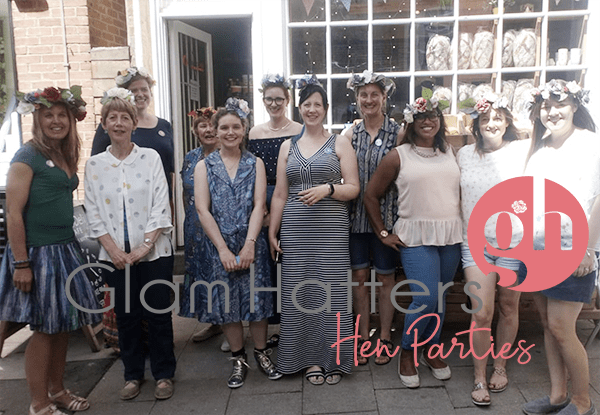 I hope that wets your appetite and that you’ll take a punt on an Oxford Hen Party… (Mwaa, mwaa – they’re terrible puns I know but I couldn’t miss the opportunity!) For more Oxford Hen Party Ideas keep an eye out for my next blog which will be on Oxford Hen Party Accommodation. I have found the perfect hotel and I can’t wait to share it with you.